Securing a comfortable retirement isn’t easy, especially when retirees are ending their working years in debt. According to a study1 from the Employee Benefit Research Institute, 65.4 percent of families with heads ages 55 or older held debt in 2013. And fully 9.2 percent of those families had debt payments greater than 40 percent of their income, a traditional measure of debt load trouble. Paying debts in retirement can dramatically reduce the amount of income available for living and health care expenses. According to a Transamerica2 study, median household retirement savings for workers age 50 and up is just $135,000. It’s no wonder, then, that outliving savings and investment is the most frequently cited fear among workers 50 and up (43 percent). Credit cards. The EBRI study found that families held $2,500 in credit card debt on average. The high interest rates charged by credit cards, however, makes that debt more expensive over time. For example, if you have $10,000 on a credit card with 12 percent interest, it will take nine years to pay it off with monthly payments of $150—during which time you’ll pay almost $6,600 in interest. Paying off credit cards before retirement, then, can result in huge savings. Student loans. A recent GAO analysis3 found that older Americans are increasingly retiring with student loan debt—either their own or that of their children or grandchildren. The outstanding federal student debt for those 65 and older grew from $2.8 billion in 2005 to $18.2 billion in 2013. For those nearing retirement, it makes sense to eliminate as much of the debt as possible. If the debt paid for the education of an adult child or grandchild, ask if that relative can help make payments on the debt or assume it altogether. Mortgages. Housing debt has increased among older Americans. According to the EBRI study, 39 percent of families with heads ages 55 or older had housing debt in 2013, compared to just 24 percent in 1992. The amount of that debt has also grown. In 2013, median housing debt was $93,000, compared to $45,510 in 1992. Mortgage debt, however, can provide tax advantages, so it’s not always necessary to pay it off completely. Experts, however, recommend taking advantage of low interest rates and refinancing to save money. 1 Copeland, Craig, Ph.D. Debt of the Elderly and Near Elderly (n.d.): n. pag. Employee Benefit Research Institute, Jan. 2015. Web. 2 Collinson, Catherine. 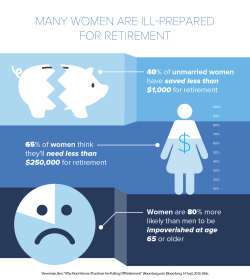 The Current State of Retirement: The Pre-Retiree Expectations and Retiree Realities (n.d.): n. pag. Transamerica Institute, Dec. 2015. Web. 3 "Older Americans: Inability to Repay Student Loans May Affect Financial Security of a Small Percentage of Retirees." U.S. Government Accountability Office (U.S. GAO). U.S. Government Accountability Office (U.S. GAO), 10 Sept. 2014. Web.